Sitting in one of the wooden pews in front of St. Patrick Cathedral March 26, Louise Barbetta, a wife and mother taking RCIA classes, watched as Dallas Auxiliary Bishop Douglas Deshotel blessed the oils Father Joe Pemberton would use to mark her forehead as she entered the Catholic faith at the Easter Vigil service. 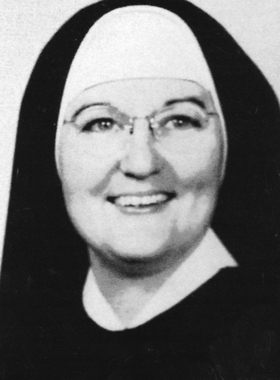 Sister Martin Joseph Jones, SSMN, the first librarian at the University of Dallas and first archivist at Buffalo State (a campus of the State University of New York, or SUNY), who was known for her outgoing personality, died at her residence Monday, April 29. Monsignor Phil Johnson, pastor emeritus of St. Michael Church in Bedford, as well as founding pastor of St. Vincent de Paul Church in Arlington, passed away Saturday morning, April 20.